HomeDSLRSony A99 Mark II Announced. The A Mount Lives! Sony A99 Mark II Announced. The A Mount Lives! Hey guys! 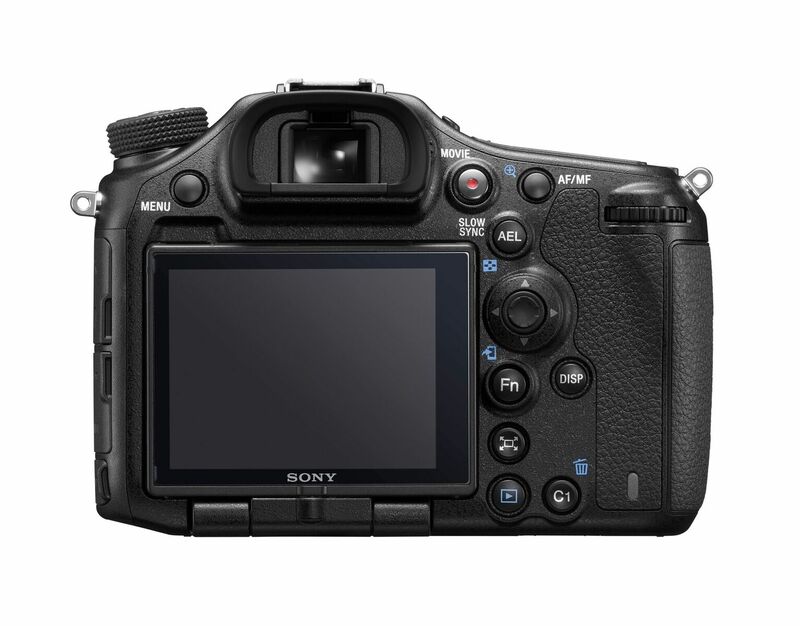 Just a day before Photokina starts Sony has announced the A99 Mark II. Yes, their DSLR A Line continues on with an all new body, feature set and vision for the future. I was expecting an A mount replacement months ago but with the E mount taking off for Sony so big these last couple of years, I understand why they waited. You can read more on the A99 MKII or Pre Order it at B&H Photo HERE. Positioned as the flagship A-mount camera from Sony, the Alpha a99 II DSLR Camera combines the power of a full-frame 42.4MP Exmor R back-illuminated CMOS sensor and a BIONZ X image processor with front-end LSI to create outstanding images at expanded sensitivities up to ISO 102400 and record UHD 4K video. The a99 II is designed for speed, with an ergonomic body design and redeveloped shutter able to hit 12 fps, with full AF and AE capabilities. It also uses a Hybrid Phase Detection AF System that combines a 79-point dedicated AF sensor with a 399-point on-chip focus system for fast, accurate focusing in all conditions. And, for video, a new S&Q Motion setting permits the capture of Full HD video at a variety of frame rates ranging from 1-120 fps. Another huge advantage of the a99 II is a 5-axis SteadyShot INSIDE stabilization system which is able to compensate for about 4.5 stops of shutter speed for sharper images. 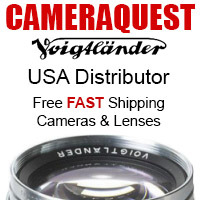 The camera also offers both a 0.5″ 2.36m-dot XGA OLED Tru-Finder EVF and a 3.0″ 1,228.8k-dot rear LCD that can tilt upwards 134° and downwards 180° as well as rotate 270° for working in a variety of positions. On top of all of these features, the camera offers built-in Wi-Fi with NFC and Bluetooth which expands the cameras operability and it can output 14-bit raw files. Leveraging the power of a full-frame Exmor R back-illuminated CMOS sensor, the a99 II is able to create spectacular high-resolution images in a wide variety of shooting conditions. The back-illuminated structure is boosted through the use of an anti-reflective coating and gapless on-chip lens design that maximizes the light gathering abilities, ensuring excellent performance in low-light conditions due to a sensitivity range of up to ISO 102400. Also, it forgoes the use of an optical low-pass filter in order to guarantee the sharpest images. This outstanding sensor is paired with the BIONZ X image processor and a newly developed front-end LSI dramatically improves the speed and throughput of the entire imaging system, enabling continuous shooting with AF/AE at up to 12 fps. Also, 8 fps shooting is possible with full live view support, meaning no blackout time while shooting. Another advantage of this setup is 16-bit image processing and 14-bit raw output which provides outstanding color fidelity and image quality. Packed into the a99 II is a 5-axis SteadyShot INSIDE image stabilization system. This compensates for five types of camera shake encountered during handheld shooting of still images and video. This allows users to confidently use any lens, even adapted lenses, for critical imaging without encountering blur from camera shake. 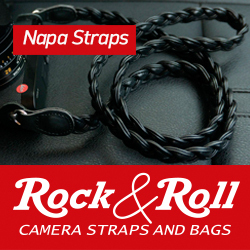 This system will compensate for approximately 4.5 stops of shutter speed for working with a huge variety of subjects. For long focal lengths, the system will correct for pitch and yaw adjustments. Macro and high magnification imagery on the other hand will benefit from the inclusion of horizontal and vertical shift compensation. Additionally, all shooting styles will get usage out of the roll compensation. All 5 axes of stabilization will function at all times, even when used with third-party lenses and adapters or lenses with built-in optical stabilization. Taking advantage of Sony’s proprietary Translucent Mirror Technology, the a99 II is able to utilize both a dedicated 79-point AF sensor and the 399-point focal-plane AF system located on the image sensor at the same time. This provides lightning fast autofocus as well as wide coverage. The 79 Hybrid Cross AF points enhanced your focusing precision by utilizing both the standard AF sensor and its 15 cross-type point with the focal-plane points. This uses the AF sensor for horizontal detection while the focal-plan points handle vertical detection. Additionally, the central AF point is sensitive to f/2.8 and the system can function in lighting as dim as -4 EV. Users can even benefit from AF capabilities while shooting at up to 12 fps or when using live view at up to 8 fps. 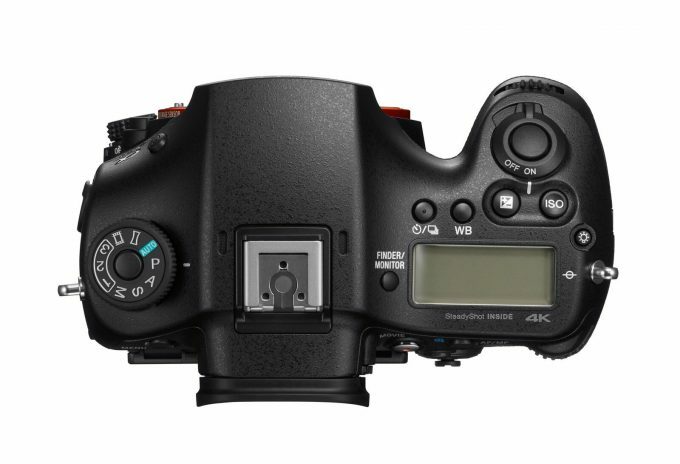 The a99 II is the first A-mount DSLR to offer internal UHD 4K video recording at 30 or 24 fps. This is possible using either the full-frame sensor or the Super 35 format which uses oversampling with full pixel readout and no pixel binning. This limits moire and aliasing common with high-resolution sensors. Video recording also benefits from live tracking thanks to the Hybrid Phase Detection AF system and Translucent Mirror Technology. The XAVC S format further improves image capture by providing high bit rates of 100 Mbps in 4K and 50 Mbps with Full HD recordings. An additional benefit of this camera is the ability to switch back and forth between NTSC and PAL operation for worldwide use. When recording internally, users will record video with a 4:2:0 sampling at 8-bit, however, to even further improve image quality the a99 II has clean HDMI output for use with an external recorder. This allows users to capture 4:2:2 uncompressed video and save in an edit-ready format. The a99 II features a 3.5mm microphone input jack for compatibility with external microphones. For users needing more, the a99 II is also compatible with the Sony XLR-K2M XLR Adapter for recording professional balanced XLR audio signals with phantom power and adjustable mic/line inputs. For monitoring audio, the a99 II features a 3.5mm headphone jack as well as real time audio levels for a visual reference. Support is available for the S-Gamut3.Cine/S-Log-3 and S-Gamut3/S-Log3 profiles that enable up to a 1300% wider dynamic range for smoother tonal and color gradations, along with enhanced sensitivity and clarity in shadows and mid-tones. These profiles also lend themselves to greater compatibility within a professional workflow and are well-paired to the Cineon Log gamma curve for versatile post-production grading and color control. The S-Log3 gamma setting also offers an impressive 14-stop wide dynamic range for greater control over the highlights and shadows, while the S-Gamut3.Cine profile can be used to mimic the qualities of scanned negative film with a wide gamut comparable to the DCI-P3 color space. In addition to the S-Log3 gamma, the popular S-Log2 settings are also available. Take more control over your video capture capabilities with a variety of new frame rates available in an S&Q mode. This will allow shooters to capture Full HD video at one of either steps between 1-120 fps. These settings will allow you to slow down action as well as speed up a slow moving scene. This setting is also NTSC/PAL switchable. With a high 1,228.8k-dot resolution, the LCD screen will provide shooters with an excellent screen for composing images, adjusting settings, and reviewing video and photos. It also tilts upward 134° and downward 180° and rotates 180° clockwise and 90° counterclockwise for working with multiple shooting angles. Use in sunlight is improved with the implementation of WhiteMagic technology which doubles the brightness of the display through a RGBW pixel structure. With its 4-lens optical system using double-sided aspherical elements the viewfinder faithfully displays what will appear in your recording, including the effects of your camera settings. You’ll enjoy rich tonal gradations and improved contrast. High-end features like 100% frame coverage and a 0.78x magnification enable comfortable and stable eye-level composition. Magnesium alloy was used for the top cover, rear cover, and internal frame for outstanding durability while also maintaining a light weight. The body has been reduced in size by 8% compared to its predecessor. A newly developed shutter unit has been rated to withstand over 300,000 shutter actuations, useful for handling the faster 12 fps continuous shooting rate. A new coating on the image sensor prevents dust from settling on the sensor and makes it easier to clean. Dust- and moisture-resistant construction uses sealing around the buttons, dials, media jack cover, and enclosure edges. An assignable front multi controller provides a method to rapidly change commonly used settings. Updated font design and size improve menu legibility while a new organization system make it easier to find items. Multiple customizable buttons around the camera body. Dual SD/Memory Stick and SD card slots provide for added flexibility when saving files. 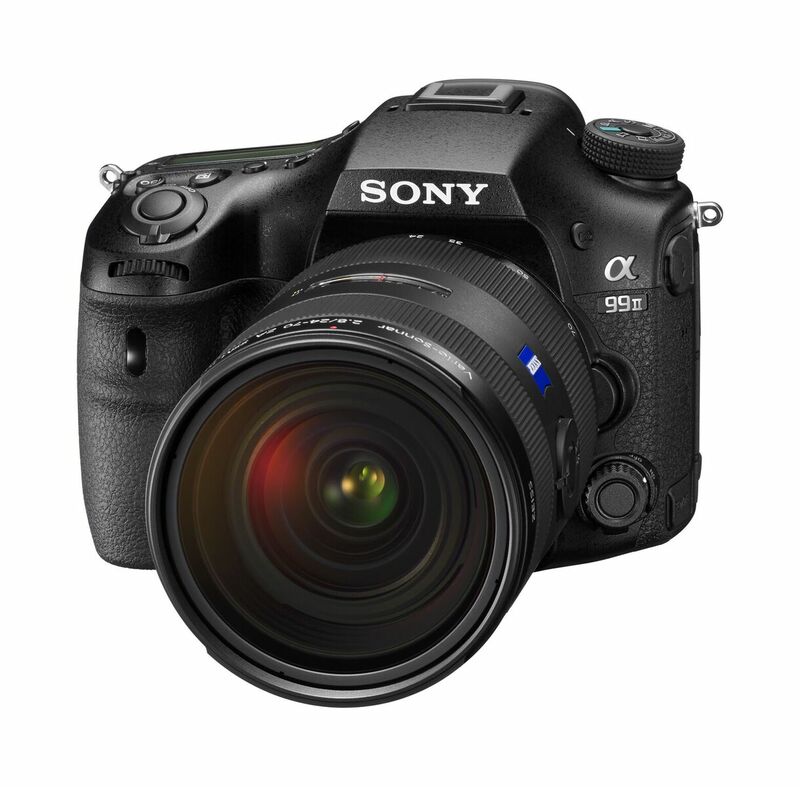 Built-in Wi-Fi connectivity enables the a99 II to instantly share imagery to mobile devices for direct sharing online to social networking, via email, and to cloud storage sites. NFC (Near Field Communication) is also supported, which allows for one-touch connection between the camera and compatible mobile devices; no complex set-up is required. Once connected, the linked mobile device can also display a live view image on its screen and remotely control the camera’s shutter. Also, a Bluetooth connection provides for location data acquisition. New Zeiss Loxia 85 f/2.4 Announced! 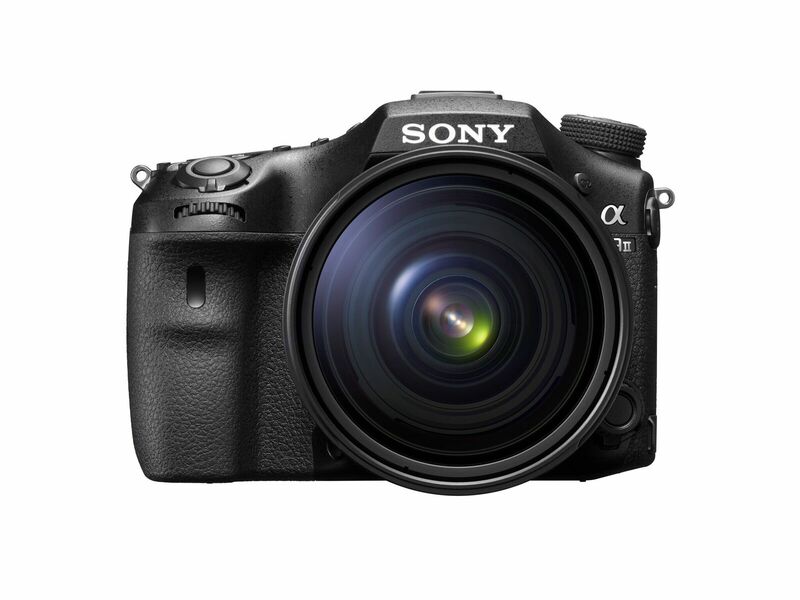 Sony A9 IN STOCK NOW, Two left! 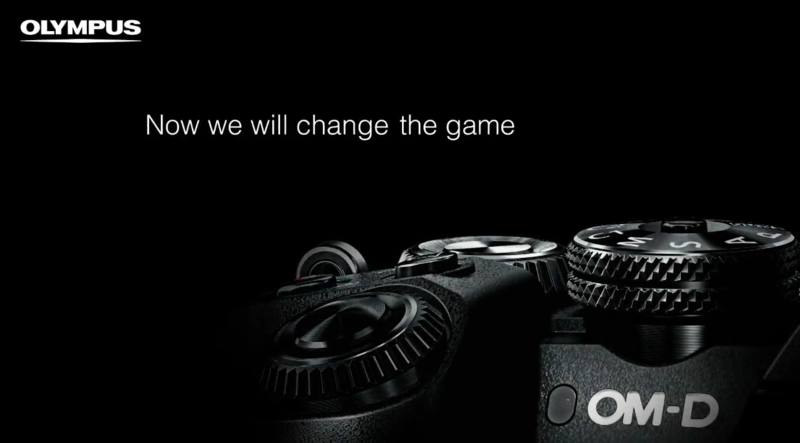 Olympus E-M1 Mark II Announced! A Pro Level BEAST. Up to 60 FPS + More. I enjoyed this article. At the beginning of the article the author said “Not my personal cup of tea (DSLR)” but did not elaborate further on his reason why. Does anyone know why it’s not his cup of tea? I wish he had elaborated further. I am interested to know the negatives. I meant “DSLRs: are not my personal cup of tea. I shoot with mirrorless cameras (A7RII, Leica M, Olympus) for the smaller size. DSLR’s, for me, are too large and fat and I just do not enjoy daily shooting with them. With that said, there are many who love DSLR’s and this one appears to be an amazing camera with everything one could ever want or need. Oh I see. Well thank you for the article. I have recently found your website and enjoy it very much. I am primarily a wildlife photographer. This camera looks like the “best bang for the buck” of anything out there. The image quality for the A 77 ii is very good for a mid range camera with the exception that its low light performance is pretty poor. Since the A 99 ii uses the same sensor as the A 7 ii, I expect the low light performance on the new camera to be excellent. At 12 fps, the A 77 ii has been wonderful for well-lit wildlife sequences. This past spring I was able to get a 105 shot sequence of a grizzly bear cub rubbing up against a sign in Yellowstone Park in 39 seconds. All of the shots are “keepers”. On sunny days, the A 77 ii also does a terrific job on flying eagles. The A 99 ii promises to do a better job allowing for faster focusing and continuous focusing even on days when the light is poor. After examining the specs, I signed up to be first in line. I expect the camera to be in my hands on November 15th. If the camera turns out to be anything other than expected, I’ll be sure to voice my criticisms. Ogreat news Steve. Hope you can get your hands on one soon. I switched from A850 to A7r. Not switching back, but I’m glad A-mound is alive! Come on Steve what does this quote mean? “I may even have something VERY special to share for you ASAP. ;)”. Is it Leica related? Leica seem to be very quiet at Photokina this year with just the new SL lenses announced so far. It was a general statement about new things coming from Photokina (was written in a Sony post, not a Leica post). In any case, it was the piece from Neil who wrote and shared images from the new Oly lenses. 🙂 Sadly, not TOO Much overly exciting from Photokina. The new Sony A99 for DSLR fans (and it looks stunning of DSLR’s are your thing), the new Monster Fuji (for MF fans) and the new Olympus. Leica gave us the SOFORT this year. I think that for me, the most exciting and important announcement at Photokina came from Olympus this time around with the new lenses and new MKII. Fuji seems nice, A99II seems great, new Panasonic seems like another new Panasonic and Leica seems to have not had much to show besides a rehashed M-P titanium and the Instant Fuji/Sofort. Lots of little stuff of course was shown by a ton of others but for major announcements that excited me, only Olympus and Fuji this time around. For me and my tastes. I own the a77 Mark II. A lot of the capabilities were incorporated in that camera first like the 70 point phase detection, 12fps. It is a great APS-C camera, best you can get in the opinion of many. The A99 Mark II takes it too an all new level, it leaves the Canons and NIkons far behind. I would love to have one. I’ve started serious photography with minolta maxxum lines. I did make a switch to Nikon, since Minolta was way too late to enter DSLR race. currently I use A7RII with many old minolta lenses. I’m seriously thinking about purchasing this.